Snapping on the gloves is when I would like to jump up and run. Do it before they say “bend over” at least! Colonoscopy coming up too soon. Yuck, Yuck and Luck. Sounds like a real blast… Good luck! Thanks. 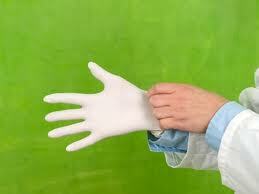 Out comes the rubber gloves. Eeeekkkk! Don’t they do that for free at the airport?